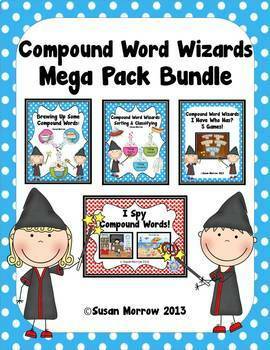 Compound Words Bundle - Huge! Compound Words Centers: Sorting, Classifying and Which One Doesn't Belong? 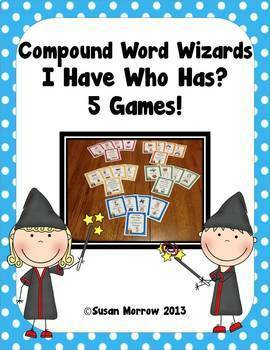 Compound Words: I Have Who Has? - 5 Games! Compound Words Fun: I Spy Compound Words! Wow! You can save a bundle with this bundle! 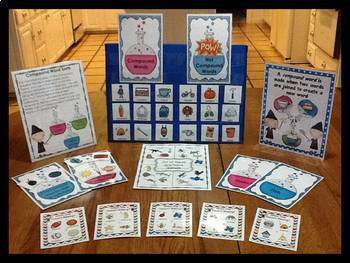 You get four different Compound Word Activity Products that total 422 pages of fun and challenging activities to keep your students involved and mastering Compound Words! Using these activities to teach compound words helps your students acquire new vocabulary, explore relationships, develop reasoning skills, and improve their critical thinking skills. 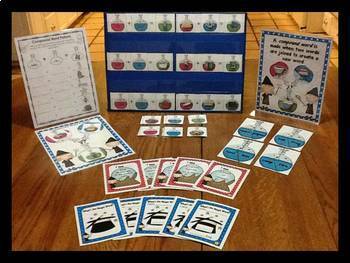 One of the best things about this bundle is that there are plenty of opportunities to differentiate for the individual learners in your classroom. You can differentiate content by selecting more advanced compound words for your high achievers. You can also differentiate the process by using the tiered student response sheets, and using the activities that have greater complexity and higher level thinking. These activities are also great for ELL students as well as high achievers. There's something here for everyone! Compound Word Wizards: Sorting, Classifying, and Which One Doesn’t Belong? I hope you enjoy teaching your students about compound words.